At the beginning of December, we had the good fortune to be invited press for the first-ever Tokyo Comic Con. Now we’re following up our onsite blog and Instagram coverage with a look back at the show which is the first large-scale convention in Japan to focus on Hollywood and American pop culture. While the draw may have been Stan Lee and big-budget blockbusters, toys were definitely part of the mix. Tomenosuke’s large booth, flanked by Unbox Industries and ToyQube, was a major draw for collectors. In addition to a large selection of mostly Western vinyl, Tomenosuke hosted a large number of independent toy artists including Mirock Toy, Tokyo Jesus, Eimi Takano, Shon, Banana Virus, Kto Kto, Kikkake Toy, Dot., and Yosomono Works. While he wasn’t in attendance, DrilOne created an incredible collection of customs including several Star Wars pieces for the event. As you can see in the gallery (w/captions) after the jump, the work was excellent across the board from kawaii to urban to majorly monstrous. In addition to the featured artists, Mr. Clement made a surprise visit to the booth to sign his large Astro Lapins! Kudos to Tomenosuke’s Shinji Nakako for the impressive booth as well as his excellent work curating several exhibitions for the convention including the Blade Runner Workshop, Nippon SFX Kaiju Monster Encyclopedia, and Noriyoshi Ohrai – The Master of Illustration. 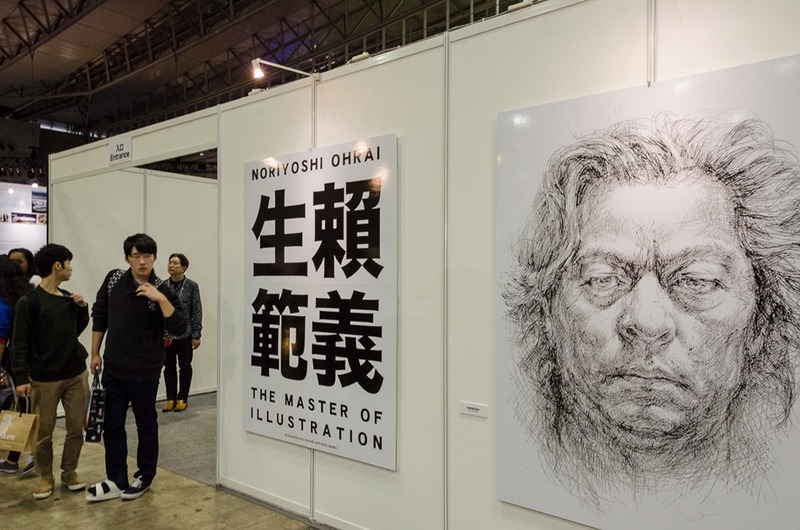 The Noriyoshi Ohrai: The Master of Illustration exhibition presents numerous original paintings by the late, legendary Japanese illustrator in a gallery-style setting. 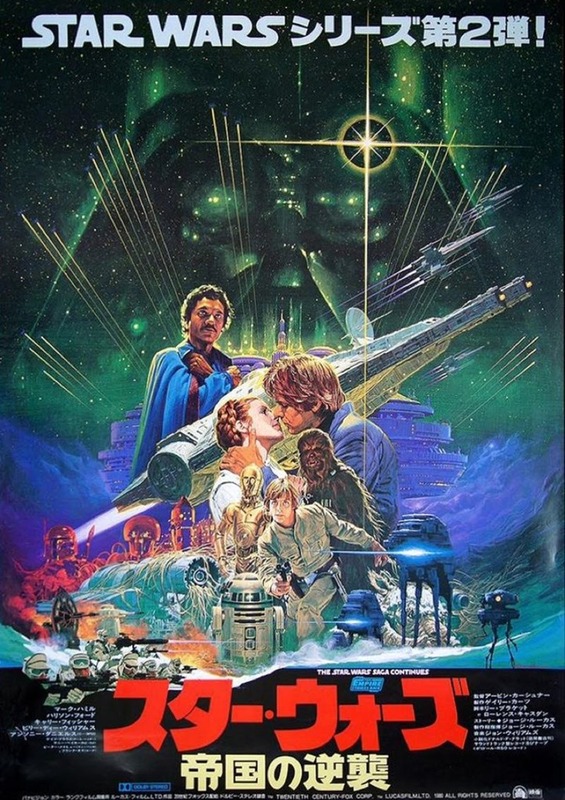 While he is unquestionably best known for his striking international poster for the Empire Strikes Back, the exhibit offers a broad selection of his works from Godzilla to swords and beasts fantasy. 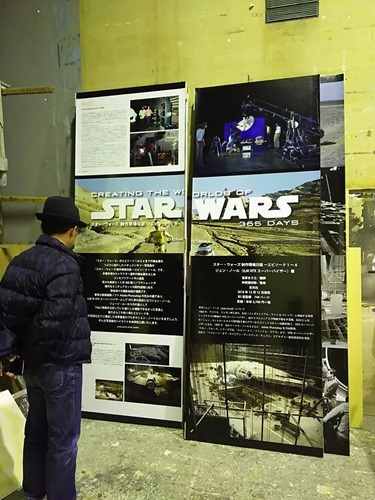 The exhibit also offered fans a rare first-hand look at Ohrai’s ESB poster study. We were struck not only by the artist’s accomplishments but also by his candid assessment of his career as a form of manual labor—presenting and interpreting the work of other artists. The impressive retrospective was co-produced by Tomenosuke’s Shinji Nakako. 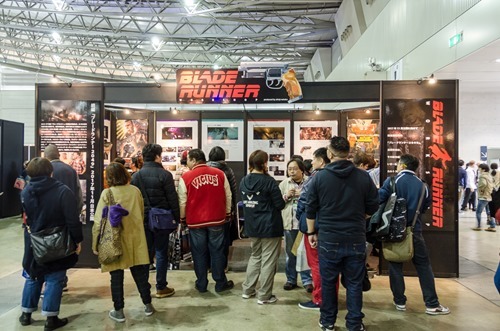 Fans of Replicants, flocked to the Blade Runner Workshop exhibition—curated by Shinji Nakako at Tokyo Comic Con for an up-close look at several on-film props from the Ridley Scott classic including a video phone terminal and the front-end of the police Spinner flying vehicle. For those looking for as close to film Deckard experience as possible, the Tomenosuke Blaster has been the gold standard ever since the first iteration. So it’s a treat to see all of the Blaster editions displayed together for the first time at the booth. The first-ever Tokyo Comic Con brings a much-needed show focused on entertainment – Movies, Gaming, VR, Collectibles and more. Several curated exhibits highlight specific brews of movie magic, complimenting the vendor booths. 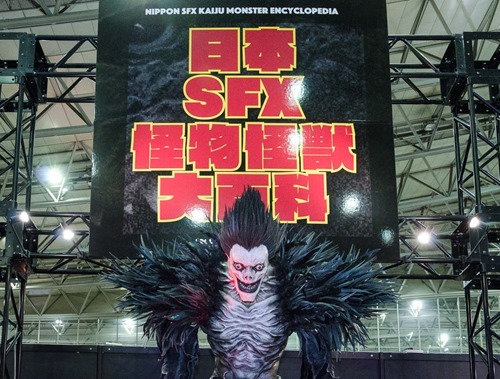 Nippon SFX Kaiju Monster Encyclopedia –the largest exhibit—explores the mostly unappreciated art and skill of bringing monsters and beasts to life, from full-size creatures to the makeup used to transform actors into the fantastic. In particular, the work of master FX artist Kakusei Fujiwara is front and center including his work on the live action adaptation of the popular anime, Death Note (above). Hit the jump for more of his creations as well as frights from Soichi Umezawa and others. Kaiju SFX Monster Encyclopedia is one of several TCC exhibits curated by Tomenosuke’s Shinji Nakako. Hello from Tokyo and the first-ever Tokyo Comic Con! I’m posting this on Friday AM Japan time and looking forward to preview night later tonight. We got in Thursday afternoon Japan time and got a chance to roam the convention hall at Makuhari Messe. Here’s a brief behind the scenes look at the layout and setup action. The show mixes a strong focus on Hollywood movies both current and past--Tomenosuke’s Shinji Nakako has put together several exhibits focusing on special FX and movie magic—with art, toys, and gaming. 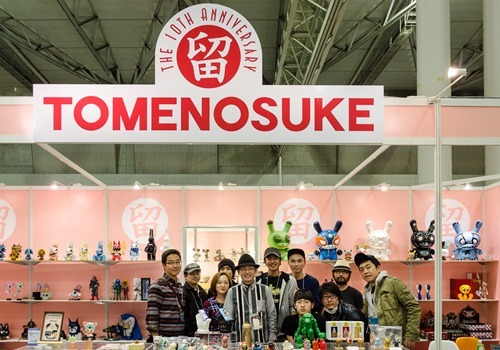 On the art toy side, Tomenosuke has a large presence with several guests including Shon, Banana Virus, Tokyo Jesus and more. Their booth is flanked on both sides by Toy Qube and Unbox who will be showing several never-before-seen figures, some of which are still in transit (fingers crossed!). 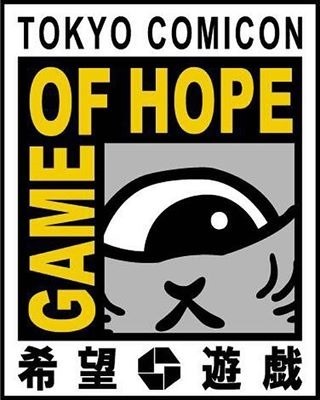 Other indie toy booths include Blackbook Toy, Siccaluna and the Game of Hope collective featuring RealxHead, Punk Drunkers, Goccodo, Skull Toys, and Uamou. We’re also looking forward to kaNO’s live painting featuring Wonder Woman front and center. He projected the design on setup night and laid down the outline. He’ll be painting live throughout the show in front of the exhibition. The completed mural will then be moved onto the convention floor for all to enjoy. Enjoy the setup pics. We’ll be back with plenty more focused coverage…soon. Off to breakfast now. 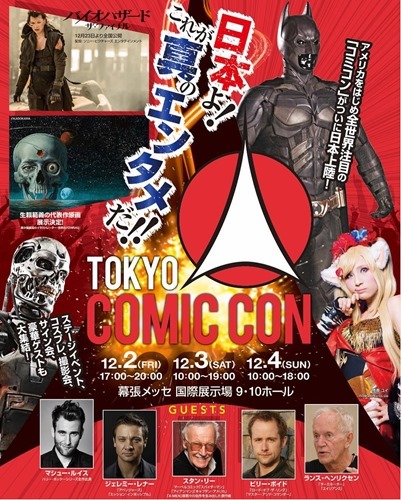 Fans attending the first-ever Tokyo Comic Con (12.2 – 12.4) at Makuhari Messe in Chiba, Japan will be treated to several exhibitions showcasing and paying homage to the very best in Science Fiction, Comic Book and Monster cinema. 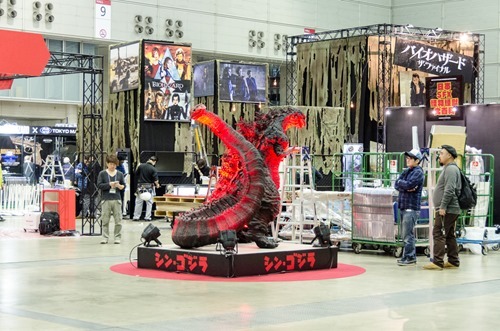 With the largest booth of the show, Nippon SFX Kaiju Monster Encyclopedia will feature original props from popcorn blockbusters such as Terminator and Batman. Turning to the more cerebral side, the Blade Runner Workshop created by Blade Runner fanatics will cover all things Replicant. For the legions of Star Wars fans, Creating the Worlds of Star Wars: 365 Days which focuses on the behind-the-scenes book by John Knoll and Elstree 1976—a look at the Star Wars documentary—will be must sees. 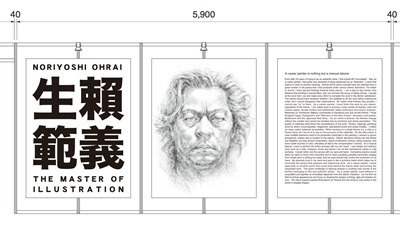 In addition, the Hiho Library will features 200 back issues of Hiho, the leading Japanese movie magazine. Each of these exhibits was curated and created by Shinji Nakako (Tomenosuke). kaNO invades Japan! 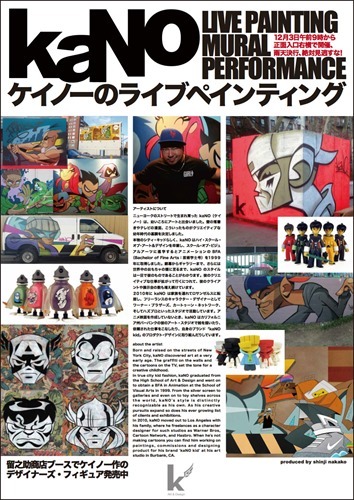 Invited to showcase his design and aerosol skills on a nearly 12’ x 9’ mural to be painted live at Tokyo Comic Con, kaNO will start before the show begins on Thursday (12.1) and will continue working on a special stage starting on Saturday (12.3). 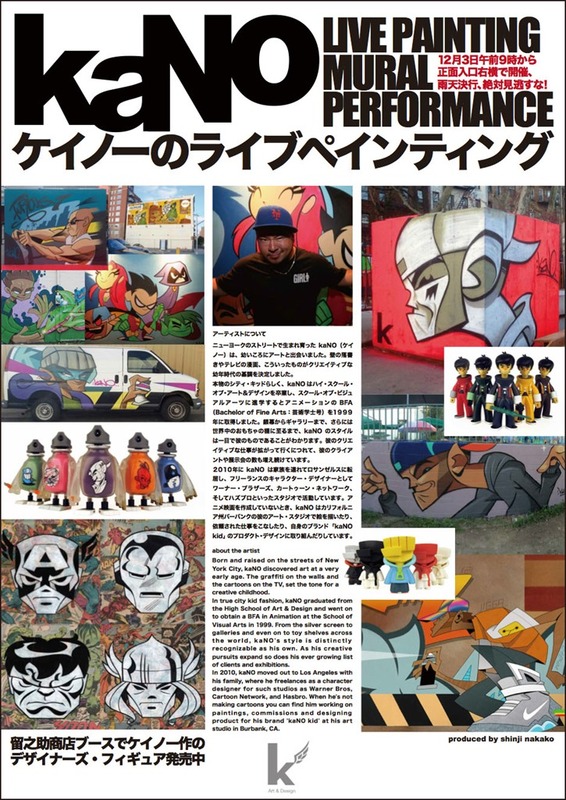 We’ll be there to bring you WIP coverage of kaNO’s mural and all things Tokyo Comic Con—the first ever. Check the mural concept below. 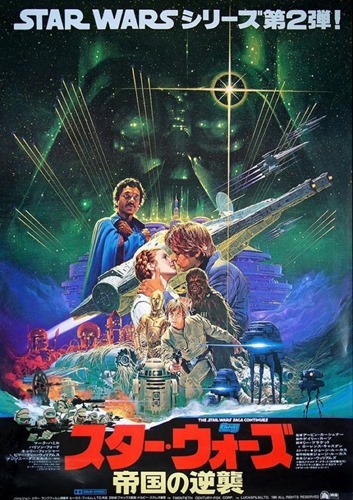 The Noriyoshi Ohrai: The Master of Illustration exhibit at Tokyo Comic Con (12.2 – 12.4) will celebrate the phenomenal work of the late artist with original paintings and a rough painting (study) of his Empire Strikes Back piece for the official international poster of what many consider to be the greatest Star Wars movie to-date. 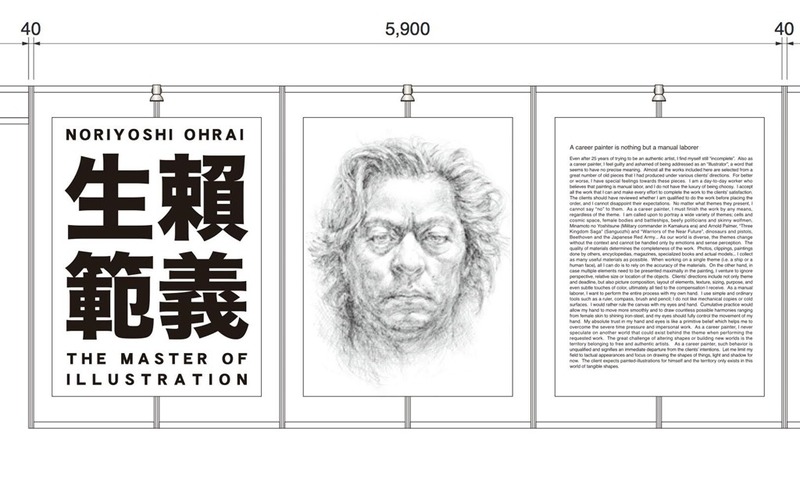 Beyond the Star Wars recogntion, Ohrai is noted for his Godzilla and Back To the Future works. This is one of several exhibits curated by Tomenosuke's’s Shinji Nakako. Tomenosuke will release their exclusive The Astronaut from Alex Pardee and Toyqube at their Tokyo Comic Con booth (12.2 – 12.4). The Green-Blue colorway is the third edition to-date. Twenty of the run of forty pieces will be available at the show with the remainder presumably slated for an online drop. Fresh off the insanity of DesignerCon, we now look eastward to the first ever Tokyo Comic Con which will be held at the Makuhari Messe convention center in Chiba, Japan from December 2nd through the 4th. As with other Comic Cons, the Tokyo show promises to be a celebration of pop culture and collectibles from mainstream to art centric. With noted celebs including Stan Lee and Jeremy Renner as invited guests and exhibitions of movie props from Batman, Terminator and more, Hollywood will be will represented. Beyond blockbusters, Tokyo Comic Con will showcase indie artists and designers. While we’re waiting on the official exhibitor list, we know that Art Toys will be rep’d with live mural painting from featured artist kaNO and releases from Tomenosuke, ToyQube, Blackbook Toy, Unbox, Yamakichi-Ya, Uamou, The Skull Toys, Shon, Banana Virus, Dril One, Tokyo Jesus, and Mirock Toy. With his love for art toys and Sci-Fi films, Tomenosuke’s Shinji Nakako is working behind-the-scenes to help make the show a success. Look for more in-depth news leading up to the convention. Plus, we’re amped that Vinyl Pulse will be making the trip to Tokyo for complete coverage, from setup through all three days of fun.